I had a big quiz on Monday, began studying for another huge quiz on Tuesday and spent half of my Easter weekend with my other half, Sam, as he drove 4 hours to visit me for a few days up at Uni. I then spent the other half of the weekend studying and eating chocolate that my family sent up for me. While Sam was here, we explored campus, ate fish & chips in a dark, dodgy park, went out for breakfast twice, walked 6km up and down Castle Hill (boy am I unfit! ), lost my Max Brenner Chocolate Bar virginity, watched the sunset from The Strand, lost my Grill’d virginity, had two movie nights with cheesecake & chocolate (I made him watch Mean Girls for the first time and then watched The Princess & The Frog) and finally checked out the markets in the city. It was so nice getting to explore my new home city with the one I love while simultaneously showing Sam the best things about Townsville (and trying to convince him to transfer Unis to study up here with me). Until next week when I can try to have a real blog post up (don’t count on it, I have another two quizzes the following week), I have a new YouTube video up! Hey guys! If you’ve been following my Twitter the last couple of days you would’ve seen that I’ve been thinking about starting to make YouTube videos, so… I DID! I uploaded my first ever YouTube video today, on March 27th, 2015. Exciting! Don’t worry, I won’t be neglecting this blog – I’ll definitely have content of some sort out every week, whether it be in blog form or in YouTube form, but you can be assured I’ll definitely post about it on here regardless. I’m so excited! I’ve wanted to make videos for ages now and have been watching YouTubers daily for over a year, but I finally got the courage to make the leap and sit down in front of my camera and talk to it! Anyway, check out my video and let me know what you think! Instagram has to be my favourite social media site – often, I find myself posting photos of myself at events on there rather than on my Facebook account! I love it, and have been using white borders for a VERY long time. When I started this, everyone was using it – square photos were ugly and the old Instagram app layout did not look as nice as it does today. Lately, however, with the inspiration of YouTuber Connor Franta and basically anyone who uses VSCOcam, I have come to see the more artistic side of Instagram and have made the leap to reinvent my Instagram “aesthetic” to square photos and beautiful filters. The first step was to download VSCOcam, a photo editing/sharing app which is extremely popular at the moment for its recognizable filters and general “Instagram” aesthetic. The second step was to learn how to take photos that look good in squares – which is a tough transition from a white-border convert like me! I must admit, I’m still learning and looking for new objects to capture, but for the time being I have a myriad of old photos that will definitely last me a few #waybackwednesday’s, #throwbackthursday’s and #flashbackfriday’s! The thing I love most about VSCOcam is the ability to publish only the photos you like to a grid, which not only shares them with the world but displays them in rows of three – like you would on Instagram. So I can see exactly if my newest photo fits in with the others and looks good where it is! Call me obsessive, but I really care about the organization of my photos – especially if I’m going to be looking back on my Insta feed for years to come! 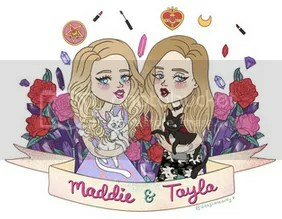 Maddie and Tayla’s blog is so cute and definitely a must read for anyone into manga/anime, makeup, fashion, personal posts and all things cute! I always really enjoy reading this blog because their posts are always so great to read! It’s always interesting to see the different content put out by each twin, even though Maddie posts the majority of content to B-looom. I really like the simple, pretty photography that they feature on the blog and how it fits in with the blog’s overall theme. All in all, I really enjoy this blog and the girls that run it! Jasmine’s simple yet beautiful lifestyle blog is one I really enjoy, whether its inspirational posts, review of games, books and beauty products, or even updates on her health. The style of her thumbnails are really something that inspire my own blog design. You can guarantee that I have read every single one of Jasmine’s posts since I began following her blog because everything she publishes is worth reading for sure! The topics and products she writes about really appeal to me and my interests, which is why I count Flux and Flow as one of my favourite blogs to read. Despite the fact that Sunny Sweet Pea is a lifestyle blog based in the UK, as an Australian I still enjoy reading Jenny’s posts. I just adore the look of this blog (I wish I could design that well) and the frequency at which posts are put out. Sunny Sweet Pea includes inspirational quotes, books, “postcards” from other blogs to introduce her readers to new content, recipes, and her own YouTube videos! Louise is one of my favourite YouTubers, mostly due to the fact that she is so much more real than most of the other popular YouTubers out there! I absolutely love her blog, mainly because she shares much more personal topics on her blog than she does in her videos. I LOVE seeing posts about her little girl Darcy and reading Louise’s Motivational Monday posts. Her gorgeous blog definitely sets her apart from the other British YouTubers who blog, and offers a really nice escape from the “Outfit of the Day” and “Makeup Review” posts which are obviously sponsored. Louise seems like such a genuine, beautiful soul and I will always continue to watch her videos and read her lovely blog posts for as long as she continues making them! 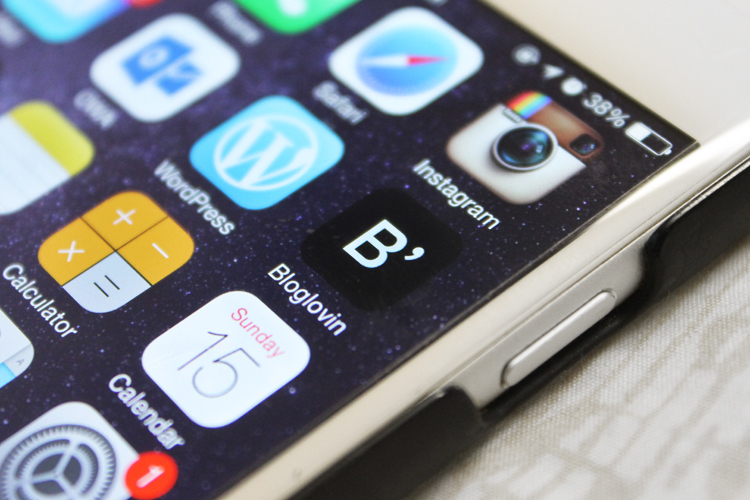 Rosie’s blog design is gorgeous and so is her photography. Her posts range from her favourite things in a week to recipes to DIY gift ideas with the perfect mixture of personal posts (I really enjoy reading about her engagement and wedding planning!). Rosie’s blog never fails to help me appreciate the little things in life with her weekly favourites posts and definitely makes me wish I had the dedication and time to write posts like those myself. Apart from having an amazingly beautiful blog name, daydreams of summertime is really enjoyable and easy to read. Sarah recently took a trip to Australia and I’ve been loving her posts all about it. Her monthly roundup posts are such a great idea and her photos are continually gorgeous and well-captured. Her ten happy things posts really cheer me up when I read them, too. Sarah’s content never fails to captivate me and I can safely say that I have read every single one of her posts since I began following her. Thank you to these lovely ladies who never fail to publish great, enjoyable content!